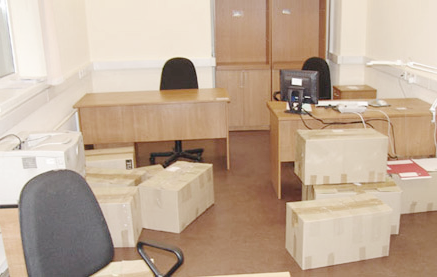 Are yo planning an office move on your own? Contact us for a free advice! We will email you our comprehensive office move checklist. The first step is always the same. You need to conduct the SWOT analysis. Do you really need to move? What are your goals? Make sure your goals cannot be achieved at your current premises. Would you like to receive a comprehensive office move checklist in a PDF, Word or Excel file format? Simply click the button below and drop us a quick message. Moving from one office to the other can actually be very stressful. However, just like many other undertakings in life, you will only get it wrong when you do not plan or when you do not follow a laid down plan, template or moving checklist. Yes, it is always tedious moving office. But you just have to move, and you have the obligation to get it right when you set out to move. This is the reason why you need to know the rudiments of moving, and the checklist that will make things easy for you. If you adhere to this moving office checklist, you will find it very easy and enjoyable. Whenever you want to relocate, you have to do it with the office move checklist below. Before you even start preparing a checklist for moving office you and your management team should conduct a SWOT analysis. You have to first consider the reason why the movement is being made. This is the only thing that will inform the options to take on other things below. Just make sure you have the operational and strategic reason why you want to move at the back of your mind. With these, you can sail on. Establishing if you want to move at all is always the first step on the moving checklist. Make sure you really need to move and the goals you want to achieve by swapping the premisses can not be achieved by making a few changes to your existing office. Sometimes moving is not the best and the cheapest option. Having tabulated the main reason why you are moving in terms of the strategic and operational need, go ahead and map out the process of relocation. Here, you think about the lease status, whether it is expiry of break. The next is to consider whether you intend to expand, contrast, and merge with firms of go into acquisition. This takes you to the consideration of whether you are moving because of change of business location, change in your working practices, your desire to get close to your client base or whether you are moving because your business requires reduced overheads. When you are through considering the above, then you look at the strategy with which you will exit. This is because you have to follow the best so as to get it right. The main thing to consider here is to insure that you are exiting in compliance with the terms mapped out during your lease agreement and those accepted by tenancy and lease laws. This will help you avoid waste of money as penalty for violation. When you must have considered the above, then you check on the significant dates that are driving the movement. There are certainly some dates that determines the move and other things about it. Don’t ever derail from these dates. Do everything at the mapped out date and time, to avoid complications. To get this right, you have to ask questions about the date of expiration of the current lease, whether there is a break clause, the acceptable period of notice to your landlord, how the notice should be served, the particular day the current lease ends, the date you are supposed to inform him about termination of agreement, and when you target to be settled in the new office. These must be written and followed. These are to be considered after setting the dates. When you must have considered and made these decisions in conjunction with the board, the manager in charge of the moving will now swing into work with the outcome of it. These decisions involve the opinions of the senior management about the move, the type of office you are moving to, where you are moving to, the day you want to be in the new office, the persons in charge of the moves in your office. This is also a good time to start preparing the office relocation checklist on your own or to use office move management services. After this, then you prepare a very detailed timetable for moving office which is once or the most important parts of each moving checklist. You must be sure that all activities will be carried out as tabulated. To achieve this, you can assign a head to every aspect or action for each date. Here, you indicate the time to move, you coordinate with the new office for info and other actions, and then talk with the relocation providers so as to tell them what you want and hear from them too. You also have to insure that the appropriate date for all mapped in the timetable are followed. You should also indicate when to start planning for the move, the time you want the new office to kick into full time operation, and then you check what you are being offered by all companies approached before you revise the timetable. The timetable is a kind of office move checklist not just for yourself but for every party involved especially for your employees. Thanks to it everybody will be aware of what is happening and when. A good step by step office move checklist London should also include the preparation of the budget. You do not need to take care just of the moving costs as they will be provided for free by you movers, but of all other costs. Do you have to make anyone redundant? Do you need to buy new office furniture? Do you have to refurbish your current property before vacating it? Does your new office require any modifications? It is good for you to prepare an articulate budget for your move, which your management team will approve. Here, you factor in office rent, service charges, maintenance, insurance, business rates, rental deposit, etc. you also consider the advisory fees, updating of the stationery like business cards, website, and marketing, HR costs, repairs, IT and Telecom, furniture and equipment, new office design, etc. When you have this, get quotes from 3 expert movers and compare. 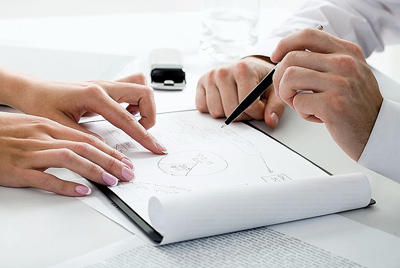 Get into negotiation with the most appropriate and feasible. You need to get the best value here. This is where the job lies. But you have to get the services of the estate agents and sit down to discuss your specifications, type of business, costs and services you need. This will allow them get you the best office. You have to consider size, length, type of lease, preferred location, budget for the office, facilities needed and the time-scale for move. Make sure this is one of the first steps on your moving office checklist. You need to start looking for a new property at least 6 months before you move. After this, you consider the floor plan for your new office. Here, you must insure that the office complies with your company’s culture, profitability and productivity. Consider the available space, reception size and location, toilets, meeting and board room sizes and location. Also consider that of kitchens, rest rooms, etc. Others include locations of staff workstations, IT equipment, etc. Required fit outs and refurbishments must also be tabulated. Get a commercial property agent like us and pay less. However, the floor plan must be flexible enough. This is very important and you must be careful as you handle this. You must get the best furniture for your new office so that your staff will be comfortable and can give out the best. Decide on the type you require, the modular function, new or the old ones, whether to buy or lease, and how to get rid of the old and unwanted. Also consider the needs when it comes to ergonomics. The checklist should also include one day for finding an office furniture clearance company that will get rid of all your old and superfluous equipment. Just get an IT and server relocation firm to do this for you. Here, you have to consider and take an inventory of all your gadgets and what you will require in the new office. Plan on how to configure all systems, choose the network cable to use, where they will be needed, and create proper continuity plan in case of disaster. Decide on where to keep workstations, and consider all these with your office IT team. After this, you agree on issues of hardware, software, cabling, license and all other overall requirements. Create a plan for the installation of cabling, telephone systems and computers and servers. This part of the office move checklist you should discuss and agree with your IT engineers. Ask them what need to be done and how long it will take. There may be some issues you would not even think of as you are not an IT engineer. This is where you spread word about your planned move to all who deserve to know. This checklist of people to inform will start from your customers, though key clients should get personal information from your key men. Notify banks, insurance houses, your suppliers, utility firms, service providers, etc. Use the professional office move checklist to hire Removals people. This includes a good look at the firms around you, choosing some through their reviews and feedbacks and ratings, getting removal quotes from them, showing them the floor plan to match with furniture labels, etc. also make occupation plan at the new office indicating people’s positions and locations in the office. Decide on how to handle the overlap and decide who will be where at any time. Clean up the old office. You have to make sure you market the move well, so as to get all who are supposed to know about it into the plan. Carry them along. You can also ask your service provide about an office move checklist. 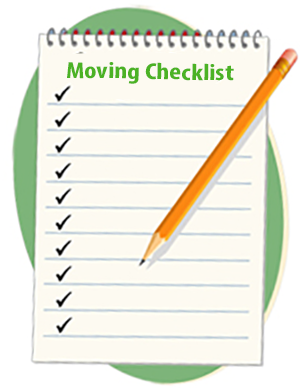 Most of them will have a generic, very specific checklist for moving. This could safe you a significant amount of time as you could get a professional checklist just for the physical part of the move. Think about these things when you get to the office. This part of the professionally prepared office move checklist will be useful as well to the moving men as to the new landlord. They will make the transition from your old to the new office easy. Consider them right on time. Map out the test for your electronics IT and others. Make parking arrangements with council, inspect the new offices thoroughly, and move with one man from each department to insure good unpacking and relocation. Get the necessary signing off from the relocation manager, take care of lost and found tabulation, provide refreshments, and give out all access cards on time. On our office move checklist you can also find things to do once you have relocated. Inspect the site, engage in IT troubleshooting, note all defects in the office and take care of them. Reconcile all bills and utilities. Launch your new office to your staff and clients with a party. You also have to train all on the new IT and phone systems and insure that all equipment is ready for the task ahead.